The Heights Observer, a program of FutureHeights, supports an involved, informed citizenry by cultivating citizen journalists and neighborhood news. A not-for-profit, volunteer effort, the Heights Observer serves the cities of Cleveland Heights and University Heights, Ohio. 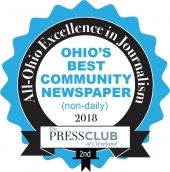 Comprised of a web site and a printed newspaper (first issue: April 2008), it is operates independently of any other organization, and is loosely affiliated with The Lakewood Observer, Lakewood, Ohio. Startup support was provided by The Cyrus Eaton Foundation, The Dominion Foundation, and The Katherine and Lee Chilcote Foundation. The success of the Heights Observer relies on donations and yours can make a difference. FutureHeights participates in Guidestar, the online standard for nonprofit accountability. The Heights Observer serves Cleveland Heights and University Heights as a forum for members of the community to write about and discuss local issues, ideas, events and other goings on that people who live here want to discuss. It seeks to encourage community engagement, transparency in governance and an appreciation for the qualities that make the community desirable to those who live here. A copy of our mission is available here. 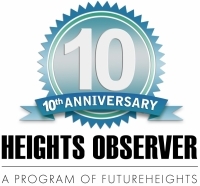 The Heights Observer is published by the nonprofit FutureHeights. The FutureHeights Board of Directors is responsible for maintaining the Observer’s financial sustainability and adherence to its basic role as a community soapbox. The board is served in this function by the Heights Observer Advisory Committee. The size and makeup of the Advisory Committee is not specifically defined, but includes a board-member chair and the publisher/FutureHeights Executive Director. For a list of current members of the Heights Observer Advisory Committee, click here. Members may serve on the Heights Observer Advisory Committee for as long as they remain active and constructive participants. It is the role of the committee chair(s) to determine the appropriate size and makeup of the committee. Application to join the committee can be made at any time. The application will be reviewed by the committee chair and members of the committee, followed by an in-person meeting with the committee chair. Because the committee meets no more than once per month, the application process may take several weeks. The Heights Observer office is open 5 days a week, 9:00 a.m. to 5:00 p.m. Monday through Friday. FutureHeights is a 510(c)3 nonprofit organization. Heights Observer is available free of charge at businesses, libraries, government offices and religious institutions through out Cleveland Heights and University Heights. 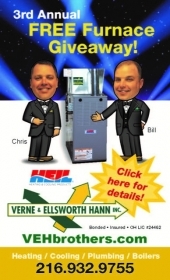 Click here for the current list of locations. Want to get it in the mail? Donate today to the good work of FutureHeights and receive the Heights Observer as a premium for a $50+ donation. If you would like to carry the Heights Observer in your place of business, please call us at 216-320-1423, or email info@futureheights.org. The Heights Observer is a not-for-profit effort and relies on voluntary contributions from readers like you to keep it going. Your donation is fully tax-deductible and signs you up as a one-year member of FutureHeights. And, as a special incentive, donate $50 and above and receive the next 12 issues of the Heights Observer sent to you or the address of your choice! Click here for easy, secure online donation. The mission of The Heights Observer is to serve as a self-sustaining media outlet that strengthens the communities of Cleveland Heights and University Heights. To be a resource for the local, independent businesses that are central to the community's unique and vibrant character. M-F 9:00 am to 5:00 pm.